While conveying goods to and from different locations, a truck might be prone to an unexpected accident. These incidences are often followed by severe injuries, psychological and physical damages. If you are the victim, it is advisable that you hand the case over to a professional truck accident attorney in Torrance so as to make the culprit face the law and pay damages. If you are in Torrance, CA and at sea as to where to turn, then we at Rawa Law Group are here for you. Rawa Law Group has made a name as a top-notch legal practice over the years and has garnered more than 55 years of combined experience in standing up for injury victims. We boast of having some of the most renowned accident lawyers you can find around. We have helped individuals to maximize their accident claims in the past and we are still in the business of advocacy for the injured. When you hire our services, you enjoy the various advantages that we give such as a free case evaluation. You do not have to pay us any fee until we have been successful with your cases. While we work on your case, we ensure that you are updated on proceedings so as to give you the presence you deserve. Our attorneys also dole out some important legal advice at no hidden costs. Our appointment times are tailored to meet your schedule requirements and sometimes our attorneys make hospital or home visits. 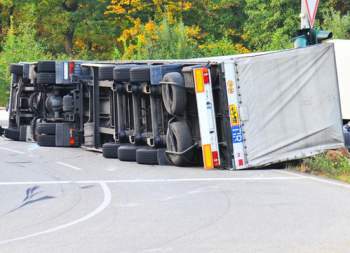 If you must hire a renowned truck accident attorney Torrance, CA, then waste no time in walking into our office today.